It has been awhile my dear reader! While I acknowledge this, I am not entirely sorry because I have been working my tail off finishing up my degree requirements for my MAJE (Master of Arts in Jewish Education) that I will receive next week! The pictures in this post are of my curriculum guide. Each Rhea Hirsch School of Education graduate is required to submit a curriculum guide that provides the material for a religious school, adult settings, day school or summer camps. 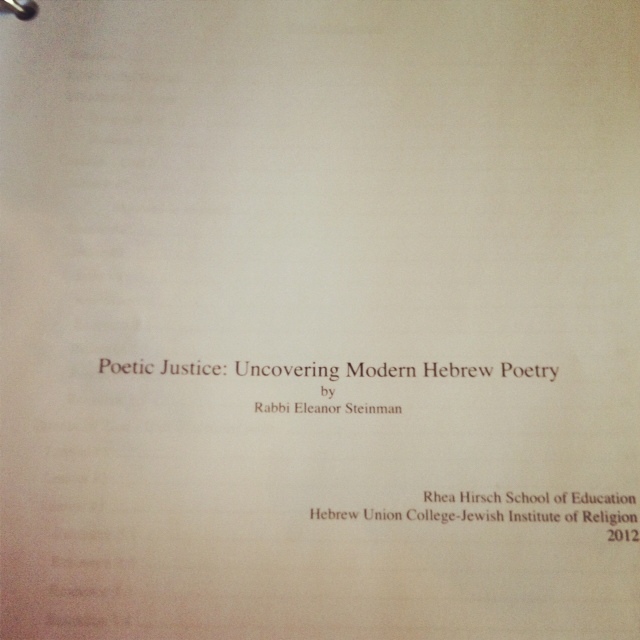 I wrote my curriculum guide, “Poetic Justice: Uncovering Modern Hebrew Poetry,” for adults. 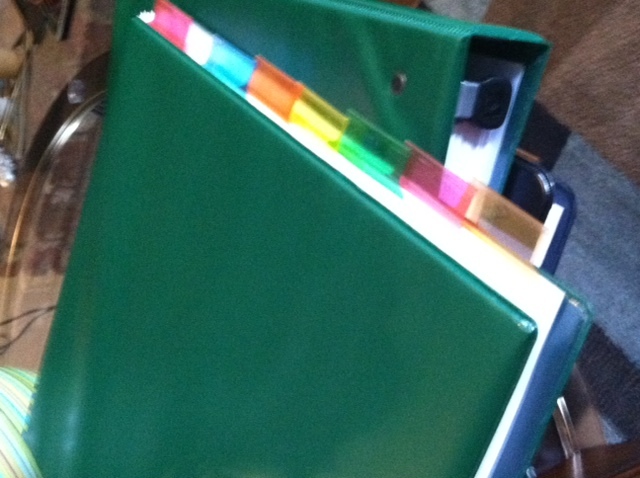 Needless to say the reason I have not been blogging is because I have been busily writing away. Fortunately, I am done now so I can return to this medium of writing also. If you would like to see a copy of this, or would like me to come to your synagogue and teach it (!) it will be available at the Tartak Center at HUC in Los Angeles (or you can message me privately). In case you were wondering I do not yet know what I will be doing after graduation though I am busily looking for all exciting opportunities on the horizon. This entry was posted in Torah, work and tagged HUC, poetry. Bookmark the permalink. Let’s try to find a time this summer!